“Diarrhea,” he says, pointing to the floating bits of grass and mud. Women from the nearby village stand by with their jerry cans, some with sheepish smiles. They know, but what can they do? A few weeks after Alfred’s visit, bricks and concrete arrive. 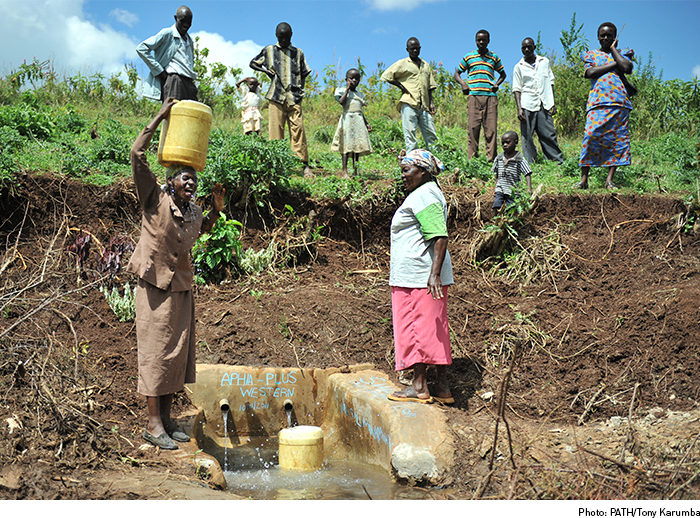 The villagers build a small dam to protect the spring. Soon diarrhea cases drop dramatically. In a cramped clinic one village over, a mother holding a tiny baby tips a plastic cup to the child’s mouth. Surely one man, armed with a bit of concrete, salt, and sugar, can’t defeat one of Kenya’s most insidious child killers. Oral rehydration solution (ORS) has saved millions of lives and costs just pennies. 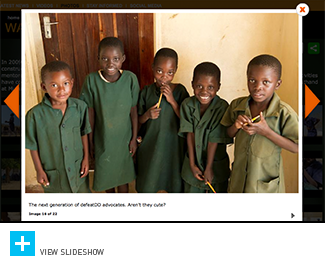 Help Alfred defeat diarrhea by sharing his story. 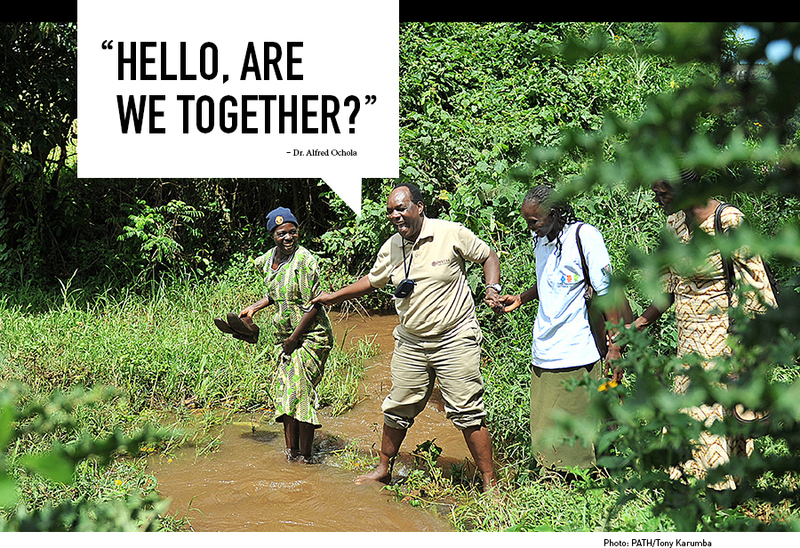 Alfred has helped to establish more than 400 ORS corners in Western Kenya. UNICEF. 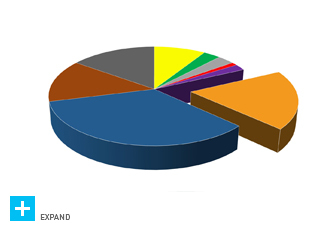 Kenya: Statistics. 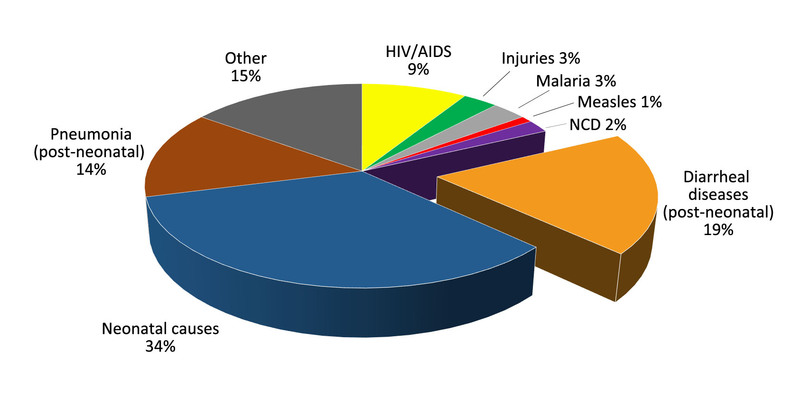 Available at: //www.unicef.org/infobycountry/kenya_statistics.html#115. Accessed September 12, 2014. That’s what village women told Jane Wamalwa in Western Kenya when her first child died from the dehydration brought on by severe diarrhea. He was five years old. Her second child died at 18 months. Her husband and in-laws blamed her. Then there was a third. Three small mounds in a cornfield near her house. Three small lives lost to diarrhea that she believed she was helpless to save. Fifteen years later, so much has changed. 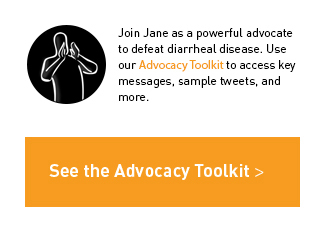 Jane knows things she didn't then—about hygiene, clean water, rehydration, zinc, vaccines. She knows now that diarrhea is not a curse. It is something to be prevented, treated, and cured. Today, Jane walks from house to house on the outskirts of her village, at times with her teenage daughter, who is healthy and happy. She looks in on the mothers and smiles, offering advice and inspiring hope. 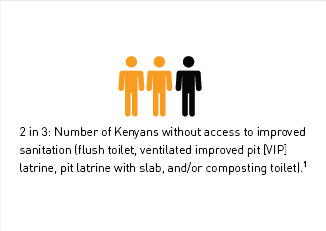 We have the tools today to defeat deadly diarrhea. Jane knows that with the power of education, she and other mothers can make real change. Together. Help Jane as she helps other mothers by sharing her story. In Duan Tom village, they gather on woven mats, children cradled in arms and on laps. They come in the dry season and during the monsoon. They come to learn how to heal their children. With a flip book full of illustrations, Yeksim—this Cambodian village’s vice chief—solves mysteries that have haunted some for years. Why the child is sick with diarrhea and fever. Why the skin gets dry and pale. Why in the worst moments the child doesn’t make a sound. Use oral rehydration, and a new treatment that has just arrived—zinc. But now there is help. A recent project has brought medicine—including small white pills called zinc—as well as education, training, and good news. Cases of diarrhea are in decline. 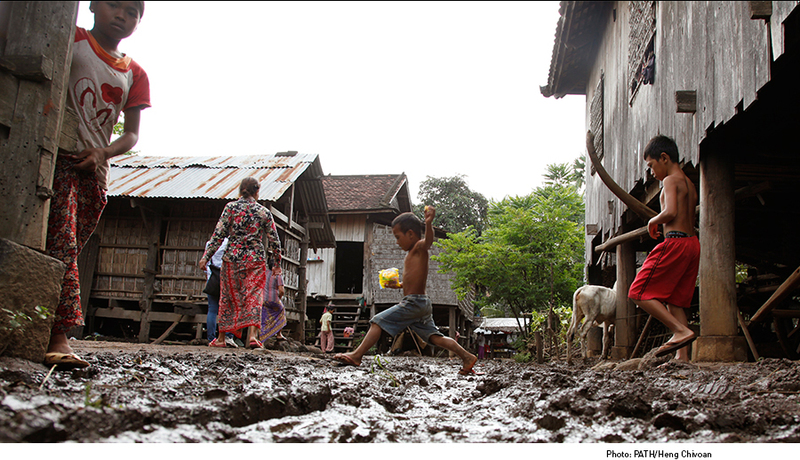 Together this village is fighting back against diarrheal disease. And together they are winning. Zinc reduces diarrhea severity, prevents future episodes, and saves lives. 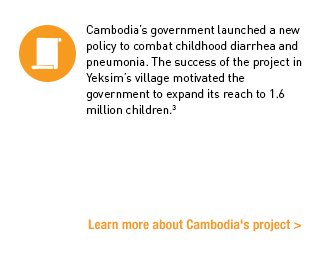 Show your support for Yeksim’s village by sharing its success. 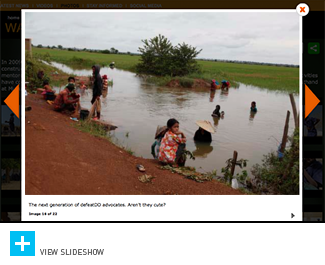 3 Reed L. Cambodia Tackles Pneumonia and Diarrhea [blog post]. PATH. January 8, 2013. Available at: //www.path.org/blog/2013/01/diarrhea-and-pneumonia/. Accessed August 12, 2014. A television. A toilet. A sofa. Conveniences many mothers in Zambia don’t have. Teresa knows she is lucky. Yet these small luxuries couldn’t protect her child. A few years ago, she rushed her firstborn to the hospital, too many times to count. Severe diarrhea, again and again. She knew so little then—about hand-washing, ORS, and zinc. Sometimes she wonders: Was it my fault he almost died? This time around, things are different. 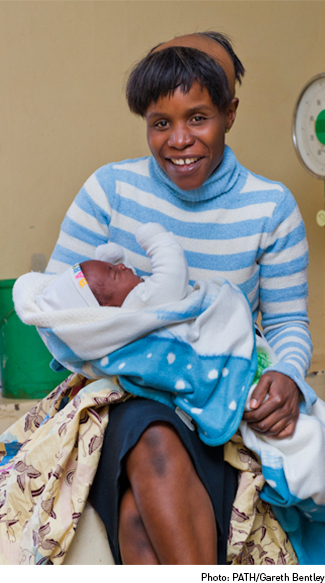 In a small clinic, she cradles her second child, a one-month old named Vusi. 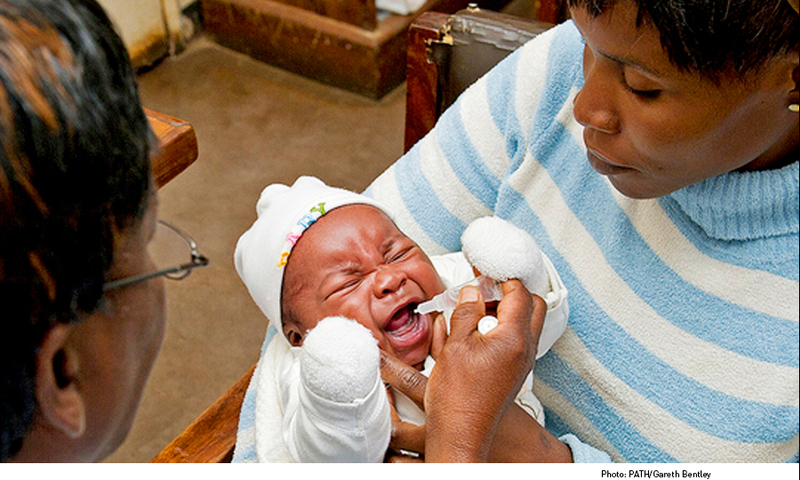 Nearby, a nurse uncaps a small vial filled with a few drops of rotavirus vaccine. Vusi cries as the nurse puts the liquid into his mouth. But Teresa smiles. “Diarrhea is one of the major problems we face,” she says. 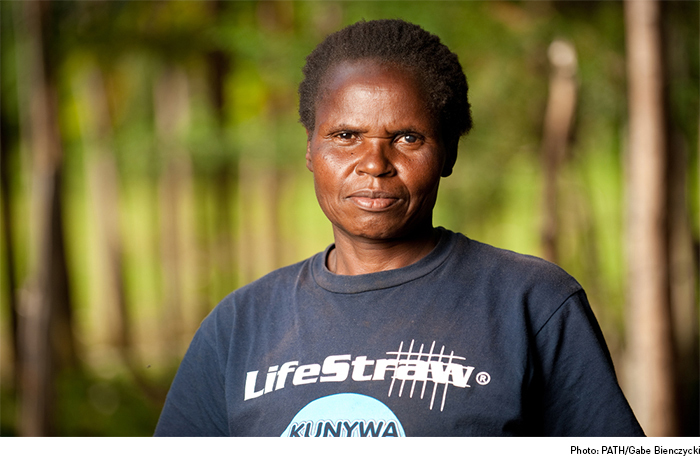 Help mothers like Teresa prevent diarrhea by sharing her story. 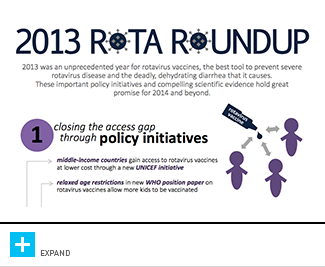 Rotavirus vaccines have recently been introduced in Zambia and several other countries across the world. 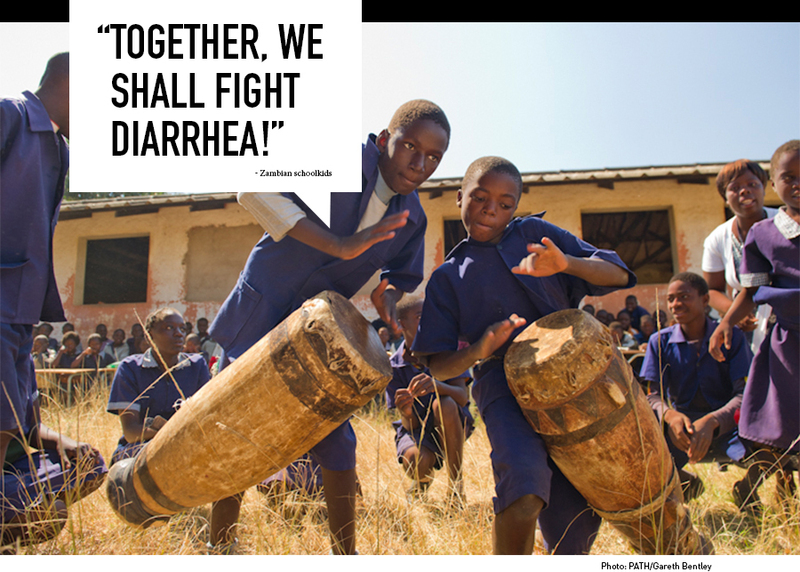 Zambia is leading the charge to defeat diarrhea, setting the standard for integrating policies, education, safe drinking water, rotavirus vaccines, ORS and zinc. In Zambia’s Mazabuka Province, kids freestyle outside the schoolhouse. The scene is universal. But the rhymes are all their own. For a few minutes, shared responsibility replaces teenage insecurity. Is it cool to rap about diarrhea? When the stakes are this high, it just might be. Besides, there’s plenty of swagger. Name-check the enemy, the power of direct address. Keep the rhyme alive by sharing the message of these kids. A WASH in Schools program is turning students into powerful teachers, bringing lessons on safe drinking water, sanitation, and hygiene to their peers, families, and communities. Thousands of miles and many times zones away, Evan Simpson watches his son field a ball in Seattle, Washington. He wonders about his son’s future, and reflects on his own path. Evan didn’t set out to make a career out of diarrhea. But once he understood the desperate need and how many solutions existed, it just became obvious. Better education—on hygiene, sanitation, breastfeeding, and nutrition. 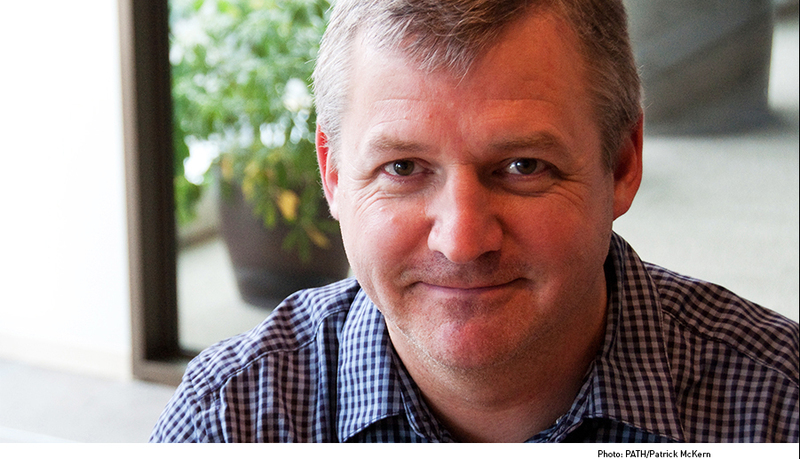 Vaccines and medicines—like ORS and zinc—and research on new drugs. Community advocates, like Alfred and Jane. Mothers, like Teresa. Leaders, like Yeksim. A new generation of teachers, like the Zambian schoolkids. 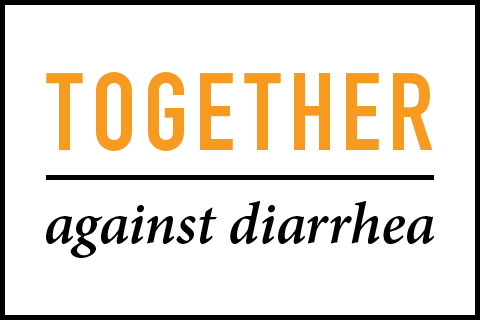 Are we together to defeat diarrhea? Share your support and your story on Facebook and Twitter, using #defeatDD. If there were a way to save half a million children's lives every year, wouldn't you help? Get looped in to the global movement. PATH is rethinking solutions for diarrheal disease, a preventable and treatable condition that claims the lives of 2,000 kids each day. Unattributed photo credits: "Alfred" thumbnail by PATH; "Jane" thumbnail by PATH/Gabe Bienczycki; "Oral rehydration solution…" thumbnail by PATH/Tony Karumba; "We have the tools…" thumbnail by PATH/Tony Karumba; "Zinc reduces diarrhea severity..." thumbnail by PATH/Tony Karumba. Chapter 3 "Did You Know" gallery by PATH/Heng Chivoan; Chapter 5 "Did You Know" gallery by PATH/Gareth Bentley.